100% Pure Oil that is highly purified, refined and made from the finest Baitfish. 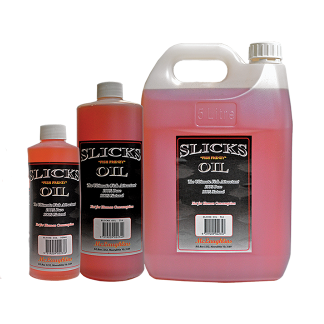 Produced and bottled in Australia, it is rich and thick in consistency and creates the Ultimate surface slick! Create a berley slick by pouring straight from the bottle or use as an additive to create your own fantastic berley mixture. Available in 500ml, 1lt & 5lt Bottles.